Here was the moment Max Verstappen and Sebastian Vettel went wheel to wheel, with the Ferrari just hanging on. Listen to Charles Leclerc's team-order radio woes during the Chinese GP. 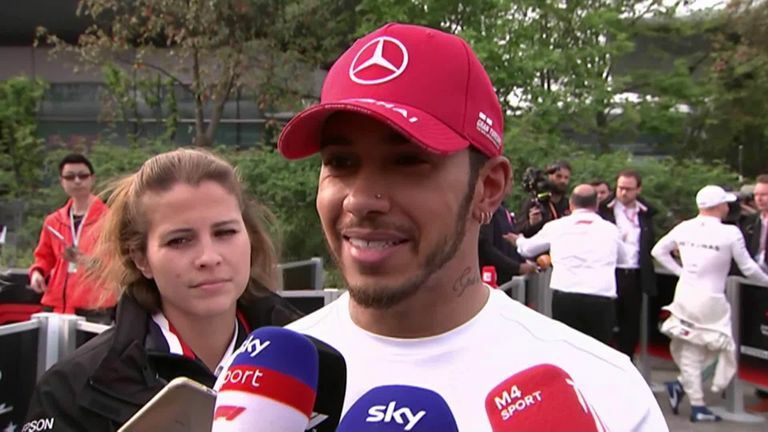 Not only were Ferrari off the pace on the track - with Vettel some 14 seconds behind Hamilton at the chequered flag - but their strategy with new young driver Leclerc was called into question. And this just a couple of days after the team reiterated Vettel would be given priority in "50-50 situations" early in the year. Were Ferrari going to give Leclerc the benefit after his fine start, or allow Vettel, their quicker car for most of the weekend, a chance to attack the Mercedes? 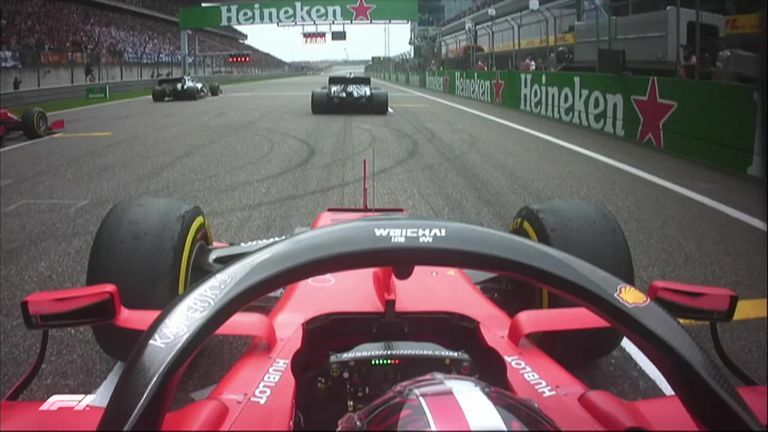 It turns out it was a latter, with Ferrari instructing Leclerc to let Vettel by, which he ruefully did on Lap 11. But even after that, Vettel couldn't close in on Hamilton or Bottas, and it was Leclerc who was now within stuck in dirty air in DRS range. Gearbox issues late on meant it was an impossible task for the Monegasque. 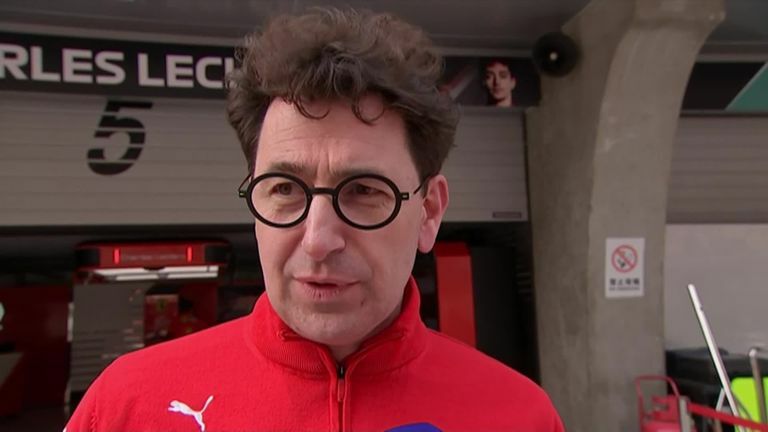 Ferrari boss Mattia Binotto explains the decisions behind Charles Leclerc's team orders. But Ferrari's dilemma shouldn't take away from what was an incredible afternoon for Mercedes, who have started this season - which they believed the Scuderia were favourites for - in strong form. With their dominance in Shanghai, the Silver Arrows have become the first team since Williams in 1992 to start the season with three consecutive one-twos. Red Bull enjoyed a better weekend than Bahrain, but are not on par with Mercedes with engine nor chassis at present. 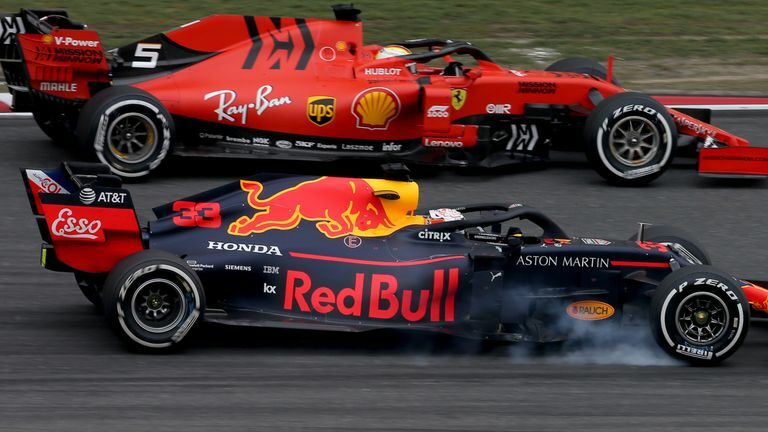 It was a dramatic start Daniil Kvyat hit both McLarens after Lewis Hamilton overtook Valtteri Bottas for first position at the start of the Chinese GP. 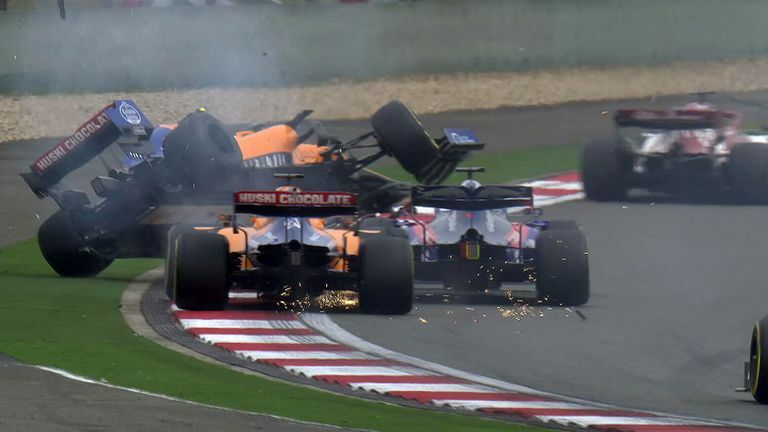 It was a chaotic Lap One, not just with of the change of positions out in front - but also because Daniil Kvyat smashed into both McLarens and sent Lando Norris flying, with the Russian subsequently penalised. The British teenager never recovered from the damage and suffered his first F1 DNF, while Carlos Sainz was only 14th. 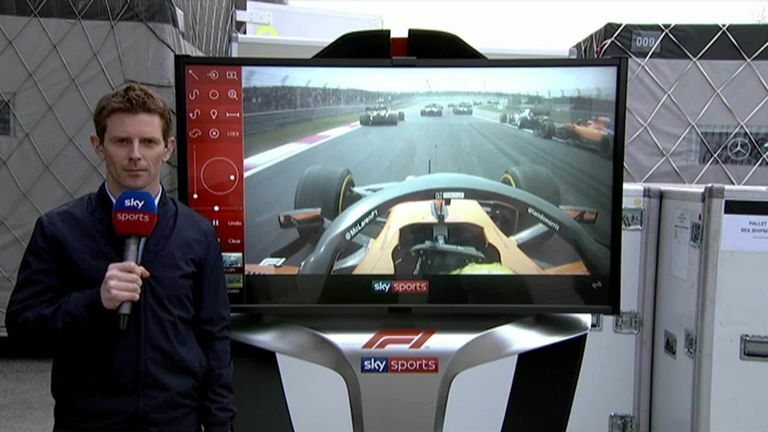 Sky F1's Anthony Davidson analyses the key points from Sunday's Chinese GP including the incident between Daniil Kvyat and Lando Norris. Gasly, Ricciardo and Perez all achieved their best results of the season in the top-10, while Albon superbly held off the Haas cars and Lance Stroll's Racing Point to secure another point. After his huge Practice Three smash kept him out of qualifying, this was an impressive mental feat. Antonio Giovinazzi continues to be left behind by Raikkonen at Alfa Romeo while Williams were two laps down again, though British rookie George Russell can take solace from beating Robert Kubica.